MANILA, Philippines — A mixture of thinly sliced meats and vegetables in bubbling broth is what typically comes to mind when thinking of shabu-shabu. But there’s more to this time-honored culinary tradition than blanching ingredients in hot soup. 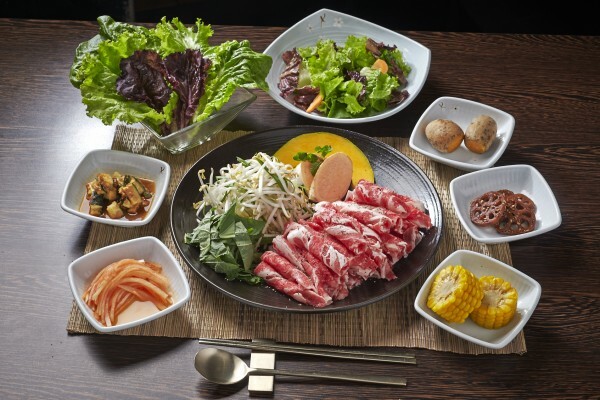 Bulgogi Brothers, a Korean BBQ restaurant that has successfully brought the authentic flavors of Seoul in the country with its soulful Korean dishes, introduces three ways to enjoy the popular hotpot with the launch of its Korean-Style shabu-shabu. The feast begins with the server pouring a tasty broth onto the pot, bringing it to a brisk simmer by cranking up the heat on the metal hot plate. Guests can savor the stew with an additional order of rice. Next, a plate of ramyun noodles arrives on the table. Because shabu-shabu encourages guests to be their own cook, they can toss the noodles together with the meat and other vegetables for a distinctly flavorful pot of ramyun. Toward the end of the meal, the server creates tasty rice porridge (called juk) from the same shabu-shabu broth with Korean rice topped with seaweed, vegetables and egg for a truly filling meal. 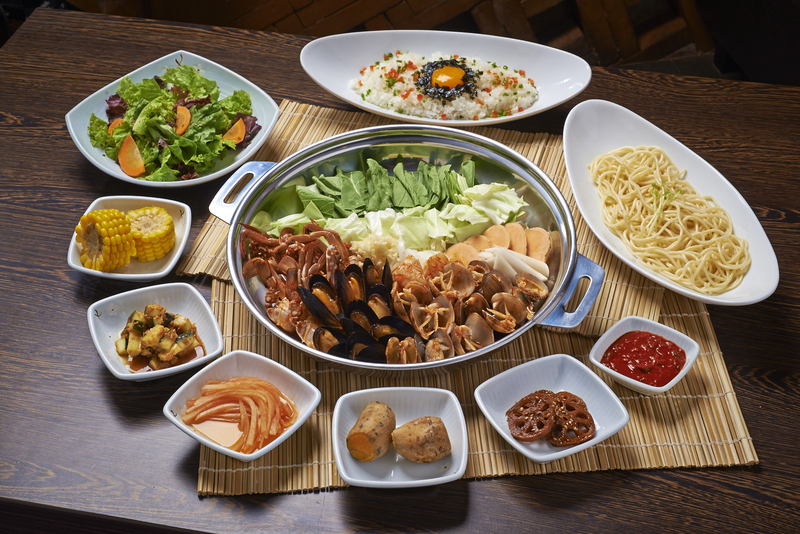 For a unique flavor that’s suited to their liking, diners have the option to choose what meat goes into their hotpot. There’s Beef and Veggies, beef bulgogi on a garden of leeks, peppers, cabbage, bean sprouts and mushroom; Ham and Sausage, a marriage of American and Korean flavors with ham, sausage, cabbage, bean sprouts, mushroom and gochujang (Korean hot chili paste); and Mixed Seafood, a plate of fresh and plump clams, blue crab, mussels and squid cooked over a spicy broth. 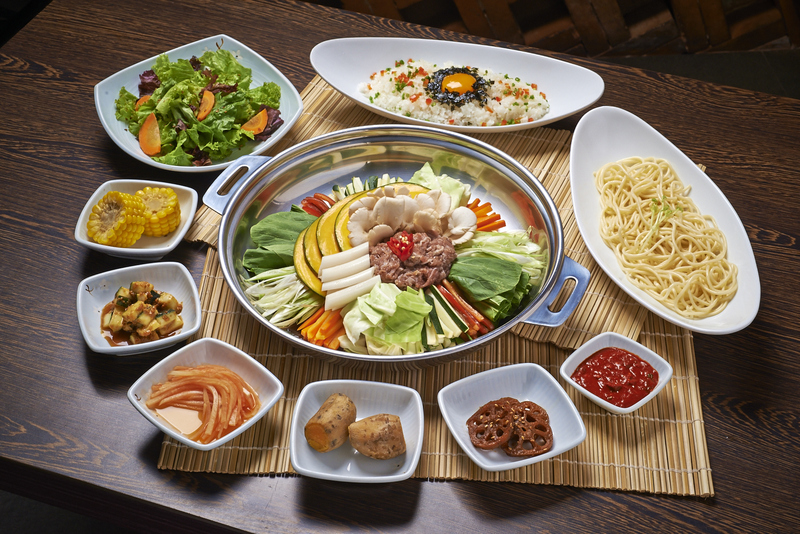 Bulgogi Brothers, which celebrates the multi-faceted cuisine of Korea, was brought to the country by The Bistro Group of Restaurants. Opening its first branch in the Philippines in 2011 at Greenbelt 5, the restaurant franchise from Korea has since aggressively pursued expansion following the enthusiastic response of the local market. This September, the trademarks of a Bulgogi Brothers restaurant were brought to its new branch at the 3rd level of Glorietta 2 to accommodate more guests in the area who crave a rich Korean dining experience—from the authentic Korean food (think various kinds of Bulgogi, rice dishes, jjigae (stew), noodles and more), the contemporary Korean ambiance and décor with accents reminiscent of Seoul to Korean shows playing on TV monitors. It is a place that exudes a vibrant and cozy environment where people eat, drink, socialize and have fun. Coinciding with the opening of its Glorietta 2 branch is the launch of the latest additions to the menu that include new bulgogi variants like Beef Belly BBQ, Mushroom, Beef Brisket, Pork Bulgogi and King Galbi Tang. Bulgogi Brothers has branches in Greenbelt 5, Alabang Town Center, Mall of Asia and Glorietta 2. Opening soon is a new outlet in Newport Mall, Resorts World.